It hasn’t happened overnight for the lads– the four-piece all live in different towns outside Belfast, but they were brought together by a shared love of grunge and a desire to push the genre as far as it can go. And their 2015 EP What Floats Like Flies is evidence of their massive potential. On those five songs you can hear the bluesy grit of Alice And Chains, the full-throated passion of Pearl Jam and the dark heart of Soundgarden, channelled via some sharp songwriting and the distinctive delivery of frontman Jamie. But there’s an adventurous, technical side to these four musicians too, equally inspired by the maverick tendencies of Faith No More and the progressive spirit of Tool. When everything comes together, it makes for a potent, and immensely promising, combination. GOT SOME HOLES IN YOUR RECORD COLLECTION? We stock over 20,000 new & used vinyl records of ALL styles. This stock level increases daily. GOT SOME RECORDS YOU WISH TO SELL? We buy records of all styles. From 1 record to 10,000. If you have some unused records that you wish to sell, please get in contact. We offer a callout service for larger collections. GOT SOME MUSIC OR SONGS TO RECORD? Our recording studios, Cloud 9 Studios At Belfast Underground, record music for thousands of clients around Ireland and the world. Full band setups, DJ Producers, Solo Singers, Rappers, Hip Hop Beat Production, Acoustic Artists, Gift Packages. GOT SOME WALLS TO PAINT OR SETS TO DESIGN? Our urban art department supplies artists and production companies with spray paint and accessories for iconic pieces and set designs nationwide. GOT SOME DJ SKILLS AND WANT TO SHOWCASE THEM? 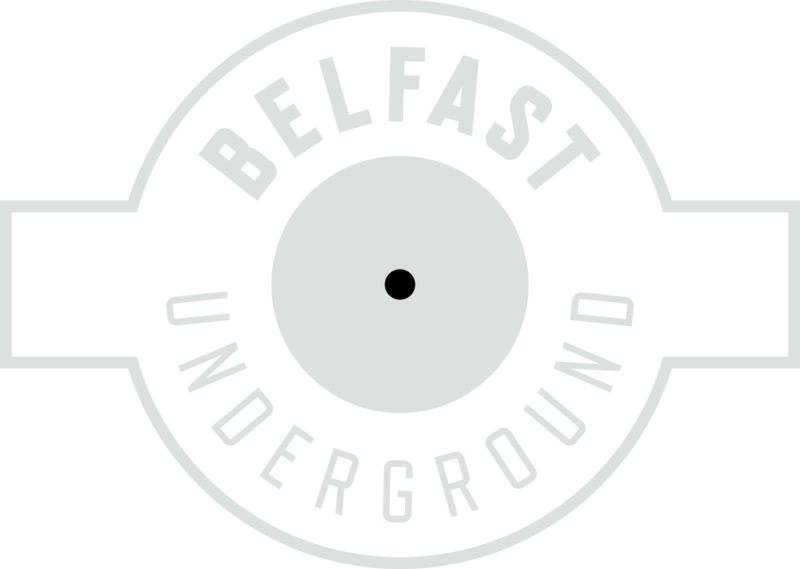 We provide opportunities for DJs to build their careers via broadcasting their talents to 200 countries worldwide on Belfast Underground Radio.